In interior decorating, creativity can be found everywhere, even in unexpected places such as chairs. 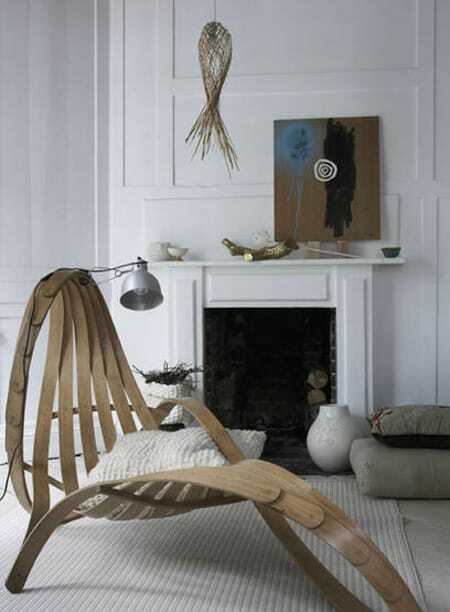 Yes, something as simple as a chair can be made fantastic and even be a statement piece in a room. When you open up your mind and think outside the box, amazing things can happen in design. You may have to look a little harder to find them but it’s definitely worth it. Go online, shop thrift stores and garage sales. If you’re willing to do a little work like reupholstering or spray painting, you’ll have an even better chance of finding something with lots of potential. I love shopping like this, so I’ve gathered 10 creative chairs that will hopefully inspire you as they have me. 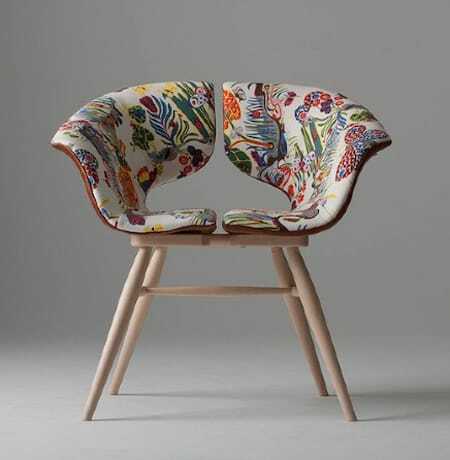 I love the creative curves of this chair and how the sides are split and separated down the middle. So cool. 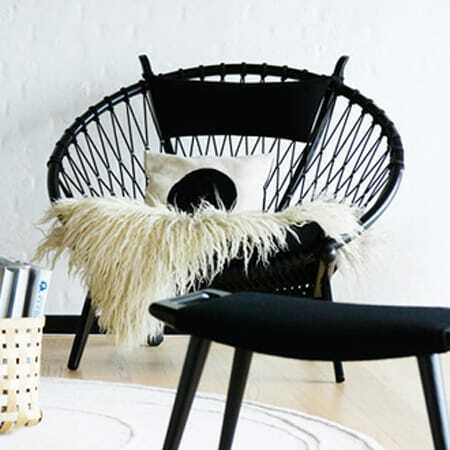 While low to the ground, a circle chair is never short on style. It has a great timeless yet modern appeal, especially when dressed up with a pillow and throw. 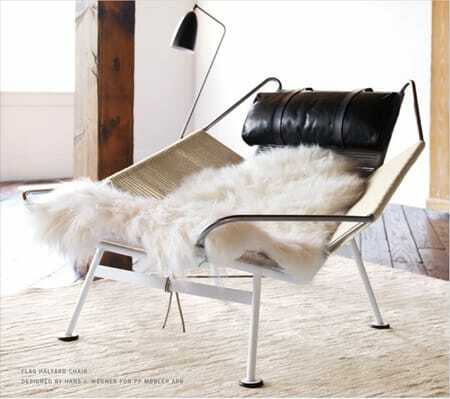 Any guests you have are sure to want to give this chair a try. It’s not only comfortable, but high on style. 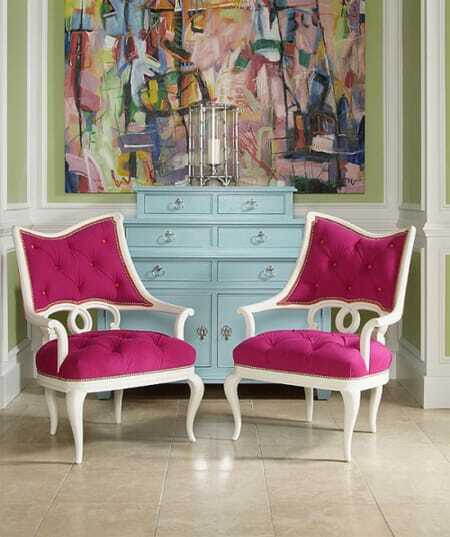 These hot pink chairs are so whimsical and elegant, they will catch your eye in any room straight away. You’ll get people talking with a chair like this. Its geometric shape and interesting lines make it a very special piece. Could you imagine reading a book in this chair, which has been cleverly wired with a desk lamp? 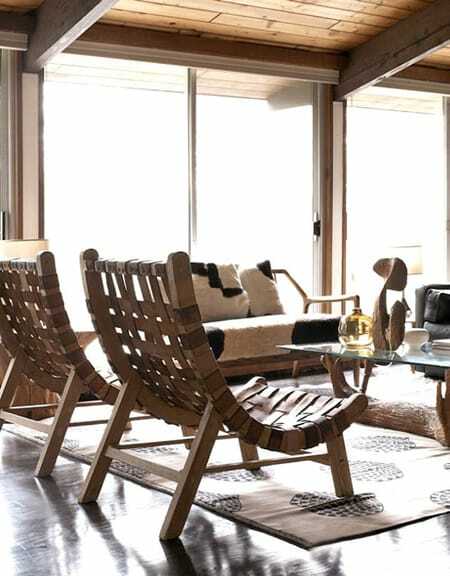 These scooped leather-strapped chairs bring a lot of character to this rustic living room. 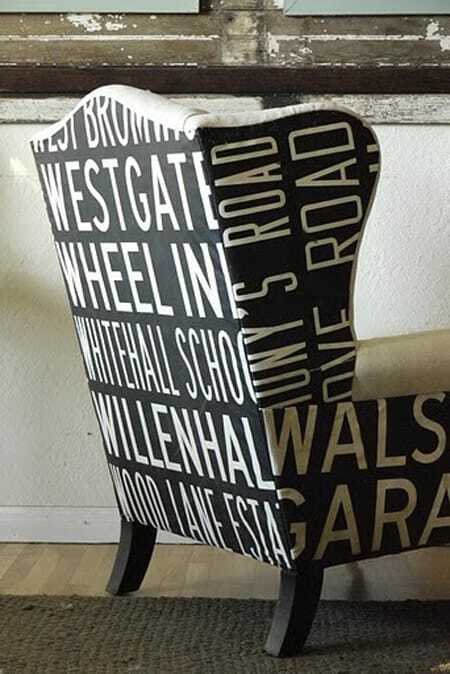 Typography has made a huge impact in design lately in artwork and other objects for the home, including chairs. They can say whatever is meaningful to you. 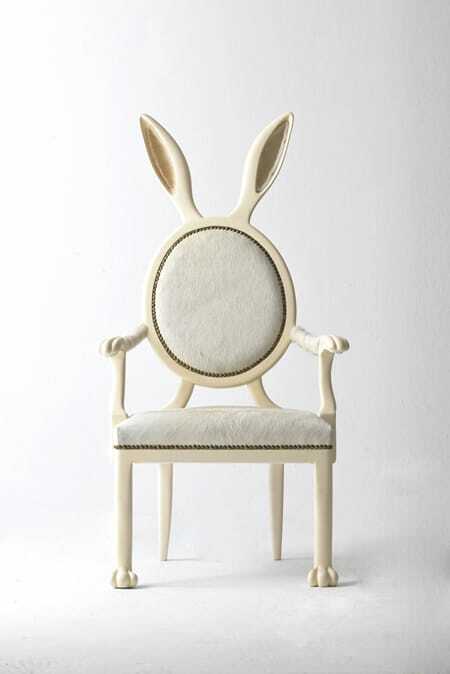 This chair puts a whole new spin on the idea of the White Rabbit. Definitely a conversation starter. Who said comic book art had to be reserved for pages or a wall? 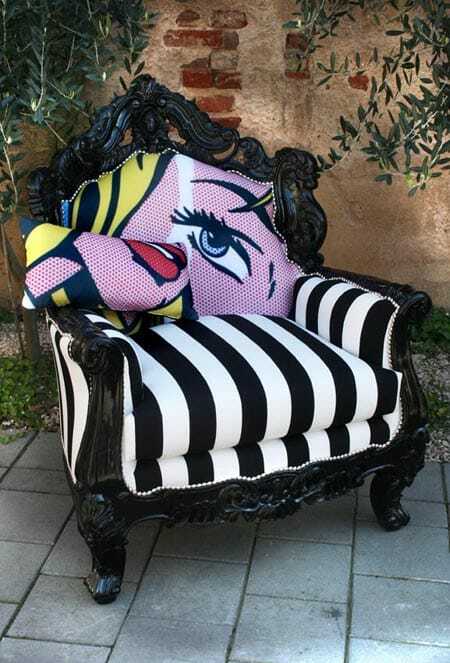 Its bright iconic colors turn this ornate arm chair from Creazinoi into pop art. 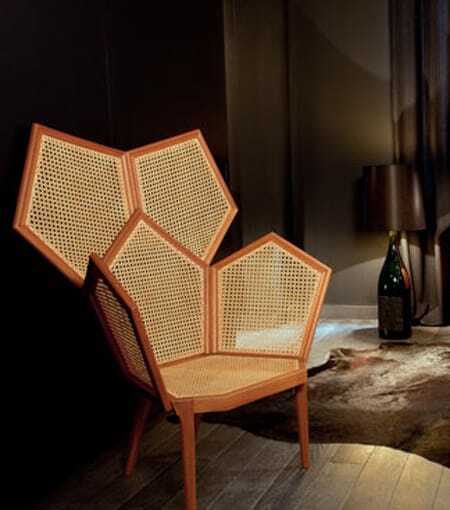 The next time you’re looking for chairs, consider thinking outside the box to make an unforgettable design statement.